I've had so many amazing opportunities as a blogger, but, outside of movie screenings, I don't think I've ever attended a blogging-related event that made me cry. …until the first day of The Good Dinosaur press event I attended at Pixar Animation Studios last month. Before screening highlights fromThe Good Dinosaur, we were treated to a screening of the new animated short Sanjay's Super Team, followed by an interview session with the director, Sanjay Patel. 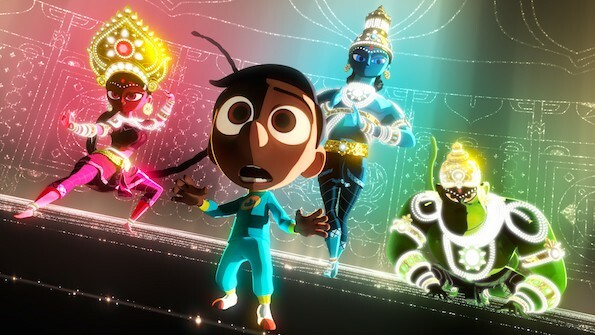 In “Sanjay's Super Team,” the new short film from Pixar Animation Studios, accomplished artist Sanjay Patel uses his own experience to tell the story of a young, first-generation Indian-American boy whose love for western pop culture comes into conflict with his father’s traditions. Sanjay is absorbed in the world of cartoons and comics, while his father tries to draw him into the traditions of his Hindu practice. Tedium and reluctance quickly turn into an awe-inspiring adventure as the boy embarks on a journey he never imagined, returning with a new perspective that they can both embrace. Sanjay's Super Team is spellbinding. It's enthralling. You'll love it. But I want the entire world to know the real story behind Sanjay's Super Team. Raised in San Bernadino, California, Sanjay Patel was far more interested in his Saturday morning cartoons than he was in his father's and the rest of his family's Hindu traditions. As Patel grew older and came into his calling as an artist, he was drawn to the Hindi-inspired art he continually found in modern forms, like rave posters. While he liked the combination of traditional and contemporary, it wasn't how Patel wanted to see his Hindu deities. Sanjay Patel has worked at Pixar Animation Studios since 1996, but his appreciation for the Hindu deities became a side job entirely separated from Pixar when he self-published his book, Little India in 2005. 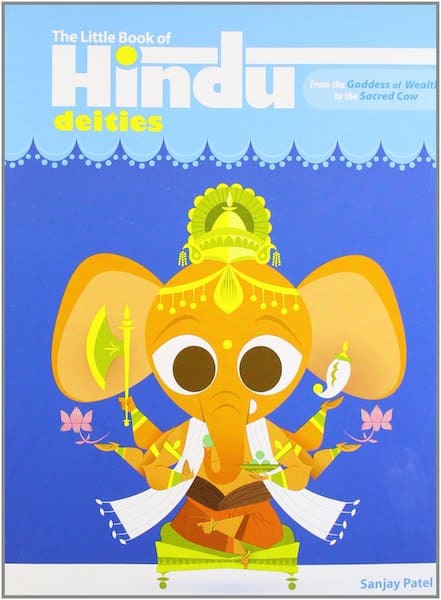 The book was picked up by Penguin publishing in 2006 and was republished and distributed as The Little Book of Hindu Deities: From the Goodess of Weath to the Sacred Cow. From there, Patel took some time off from Pixar to write more modern, family-oriented books on Hinduism with the goal of freeing people to look at both the ancient and modern interpretations of Hinduism. His artisitic work was featured in an exhibit at the San Francisco Asian Art Museum. 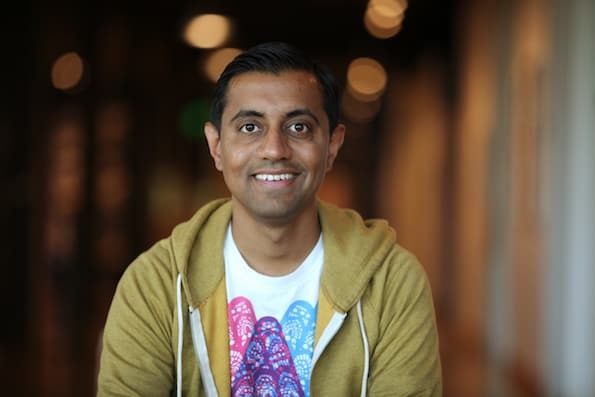 When his work went on display as employee art at Pixar Animation Studios, Pixar asked patel to bring his Hindu-inspired art into the studio and make it a part of his day job. Surprisingly, Patel turned down the offer three times. “I was scared,” he said. Then he talked to his dad about Pixar's offer. 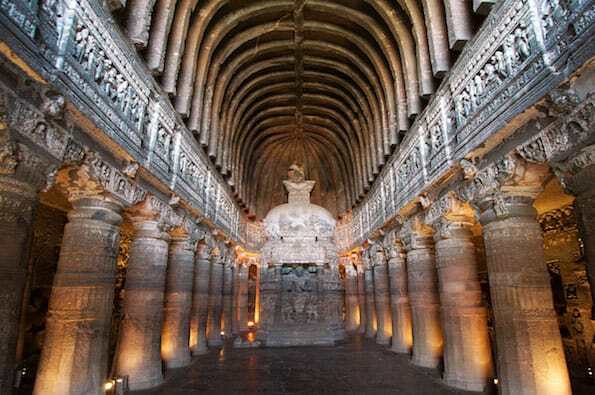 He decided to create a short for Pixar and he dug back to ancient caves in Maharashtra, India for he research. 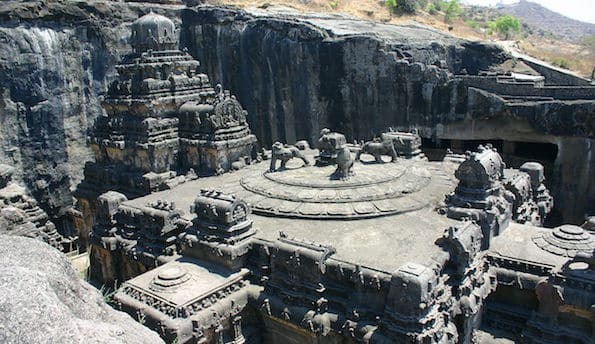 Patel showed pictures of the Ellora and Ajanta caves that were carved in 480 BC. Oh my gosh, you guys!! How have I never seen pictures of this area before? I feel deprived that I wasn't aware of this. I have no words to describe the magesty and wonder, so I'll show you a few pictures. From there, he developed the pitch that would become Sanjay's Super Team. Throughout production of the short, Patel remained dedicated to making sure all the details of the Hindu traditions were correct. In addition to staying true to the traditions, Patel's film also has a look unlike anything you've seen from Pixar in the past. Patel posed, lit and filmed the deities from extreme angles to make them appear like giants. As their role in the short is to fight for the protagonist, he also had to choreograph their battle sequences. Rather than turning to the Kung Fu he was used to seeing as a child in his beloved cartoons, Patel instead looked to ancient Indian classical dance. The result ends up looking like the most beautiful animated fight scenes I've ever seen! 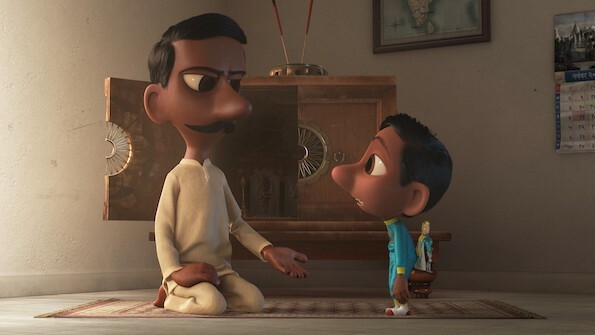 In addition to Patel's apprehension that his dad might not be enthused about being an animated character, he noted that his father hadn't seen a single movie Patel had worked on. In fact, he hadn't seen a movie at all since The Sound of Music was in movie theaters. When Patel finally watched the short film with his father, Pixar filmed both of their reactions. When the camera cut to the tears streaming down Patel's father's cheeks, and he expressed his pride for his son, I lost it. A man I didn't know who was sitting next to me gave me his handkerchief because I was such a mess! A month later, I'm still so moved by the story I can hardly think about Sanjay Patel and his father without feeling a little choked up. Everyone should know that the story told in Sanjay's Super Team is Patel's way of connecting his world with his father's dedication to Hinduism. Sanjay's Super Team shows before The Good Dinosaur, opening in theaters everywhere on November 25th! See a New, Exclusive Inside Out Deleted Scene! Exclusive: Phyllis Smith, Richard Kind on Why SADNESS and BING BONG are Everything in Inside Out! Watch Riley's First Date: It's Like a Little Inside Out Sequel! Disclosure: Disney and Pixar flew me to San Francisco to participate in The Good Dinosaur press event and other PR activities. All opinions are my own. See my disclosure policy for more information.